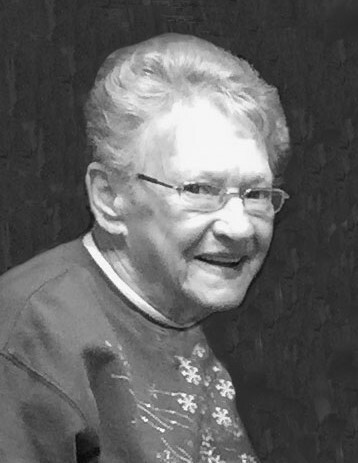 Elon - Cozy Lea Friddle Satterfield, 79, passed away on Monday, February 4, 2019 at her home surrounded by her family. She was born on January 30, 1940 in Guilford County to the late Carl May and Johnsie Myrah Friddle Sharpe. Cozy worked 40 years in textiles and hosiery mills; and retired from Ithaca Manufacturing. She enjoyed cooking, baking, canning and preserving vegetables; she loved for her family and friends to sample her simple southern style cooking. Cozy truly enjoyed the “Old Fashion” way of life and always had a willing ear; she loved to spend time with family and friends, especially when a meal was involved. She is survived by her daughter, Shelia Satterfield; a son Jeff Satterfield and wife, Kelly all of Burlington; a daughter-in-law, Pauline Satterfield of Martinsville, VA; grandchildren, Grace Satterfield and fiancé, Kim Clanton of Deerfield, VA, Bethany Mandagi and husband, Brian of Phoenix, AZ, and a great grandson, Ardyn Timothy Mandagi; a sister, Helen Elizabeth “Liz” Boyd; several nieces and nephews. She was preceded in death by her oldest son, Tim Satterfield, parents, and her brothers, Carl May and Harvey Alfred Friddle. The family will be having a Celebration of Life Service at a later date. The family would like to express their gratitude to Hospice of Alamance-Caswell, Mr. Richard Peters and Staff at Glen Raven Pharmacy, Cozy’s Special Caregiver, Mildred Holmes of Graham, Dr. Timothy Finnegan and Staff at the Cancer Treatment Center at ARMC, Dr. Rosemary Tiller, Dr. Weiss and Staff at UNC Cancer Treatment Center. In lieu of flowers, memorials may be made to Hospice of Alamance-Caswell, 914 Chapel Hill Rd., Burlington, NC 27215 or to ARMC Cancer Center General Fund, P.O. Box 202, Burlington, NC 27216-0202.